After the more than successful market introduction, ARISTO once again increases the productivity of their large GL-machines. With a completely new steering system, the throughput for large format processing with these production machines has been improved considerably. This makes the plotter even more interesting for automated volume production, e.g. 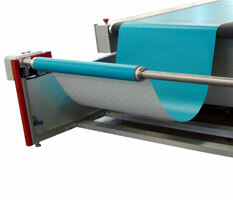 as a sample maker, the cutting of nonmetallic materials, from panel or roll materials. The newly designed cutting table impresses with its non-fussy design and concentration on the basic essentials: a from all sides freely accessible work surface, extremely robust traverse bridge with minimal protruding at the sides and belt drive in all axis. Whereby the most modern technologies remain invisible: powerful AC-servomotors enable the high throughput and the innovative CAN-Bus-steering technique reduces the number of mechanical parts. The machine is equipped with a motorized material conveyor (optional) for automatic material loading, transport and off-loading. The efficiency of the vacuum technique has also been increased and achieves treble the holding strength. 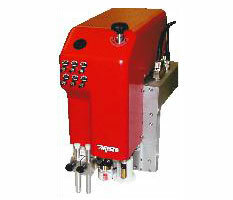 Up to 90 controllable zones hold even the smallest of remnants safely on the work surface. 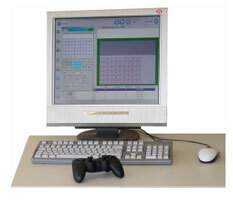 The intuitive CutterControlPanel Software offers totally new possibilities of user guidance. Via PC-screen, all necessary information on cutting data is graphically depicted and the user can comfortably steer the processing functions of the ARISTOMAT GL per mouse click. Basic functions, such as hand steering or setting the origin, can be carried out from any area of the cutter using the mobile operating unit. With the new tool head MultiHead OT.T.T.M.P. IV, the user now has three tangentially-steered tool positions at his disposal. Its tangential blade oscillates even more powerfully and cuts hard or soft materials precisely and quickly. Then there are two tool holders which can mount drag knives, circular blades, creasing wheels and punches. A marker module, geared for various pens, labels the produced items. The known laser pointer, e.g. to set the origin, is also integrated in this new tool head. An integrated camera and a second marker module are also available (optional). 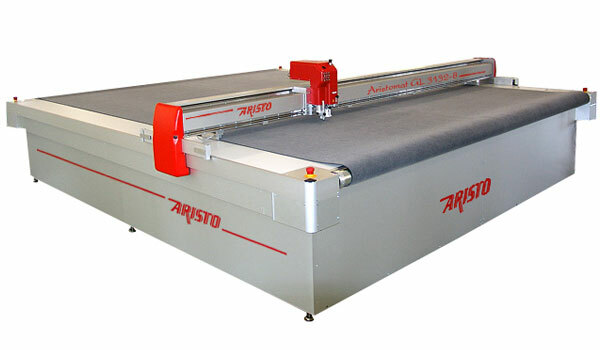 ARISTOMAT GL is the biggest among Aristo plotters, in dimensions and performances and it is therefore indicated for the production of cartons for packaging, big plastic laminates, coated PVC in rolls (with conveyor) and many other technical materials and textiles.